In addition to our comprehensive range of blinds, CAH Blinds also specialises in made-to-measure curtains. Whether in our hometown of East Grinstead or surrounding Sussex and Surrey areas like Crawley and Horsham, we provide a home-visit service to ensure results that always exceed expectations. 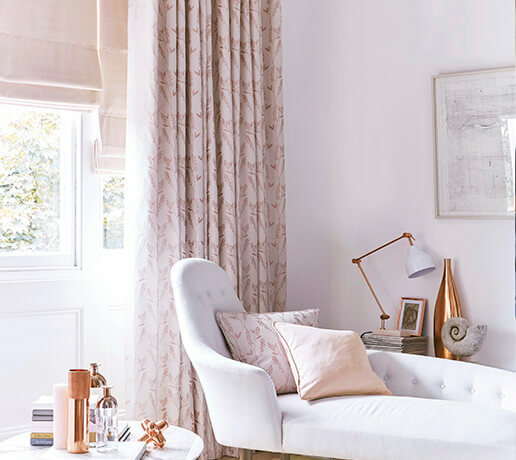 With our fully bespoke options and extensive range of fabrics and colours, we guarantee that our customers will always find the perfect fit for their curtains of choice. For more details regarding curtain choices and fittings in Crawley, Horsham and the surrounding areas, please contact us. Whether our customers require curtains to provide the finishing touch to a current interior design, or to provide a starting point for a makeover project, CAH Blinds finds the ideal solution every time. 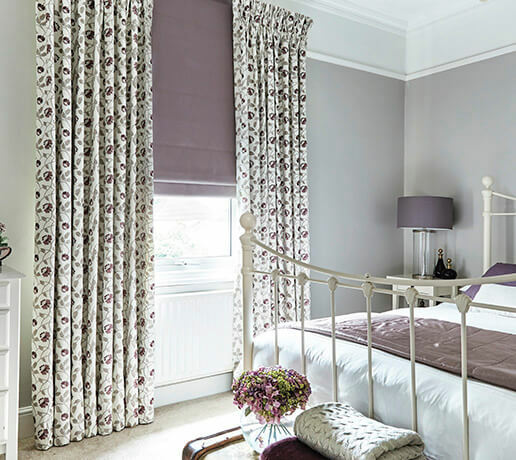 Below, we have listed some of the customisable features that help make our curtains the perfect choice for homes in Crawley, Horsham and the wider Sussex and Surrey area. Curtains made from heavy fabrics provide a notable insulating effect that can help to reduce energy bills. These heavier fabrics have been known to prevent heat loss by as much as 50%. Lighter materials, such as voile curtains, play a vital role in keeping rooms cooler in the summertime as well as reducing the flare of harsh sunlight. For homeowners in Crawley, Horsham and the neighbouring areas looking for a middle-ground option, linen performs both roles to impressively high standards while providing a durable yet elegant finish. An often-overlooked element of curtain design, the headings can have a make-or-break effect on the success of any fitting. Available in pencil pleat, standard gather, pinch pleat, goblet, tab top and eyelet designs, the choice of heading should be taken as seriously as the fabric and colour combination itself. Not only do headings have a huge aesthetic impact on curtains, they also affect practical usage such as ease of opening and closing. With a range of materials in almost every shade and texture, as well as curtain poles, tracks and finishes in a choice of wood and metallic options, curtains from CAH Blinds offer limitless combinations. The premium-quality fabrics that we buy directly from our trusted suppliers provide outstanding durability, so our customers in Crawley, Horsham and throughout Sussex and Surrey receive outstanding long-term value for their investment. From made-to-measure curtains to any type of blinds, including roller, conservatory and Venetian blinds, we cover every aspect of superior window dressing. For the ultimate in comfort and service, we let our customers Choose at Home. For more information regarding curtains in Crawley, Horsham, East Grinstead and the wider Sussex and Surrey area, call 01342 328 364.